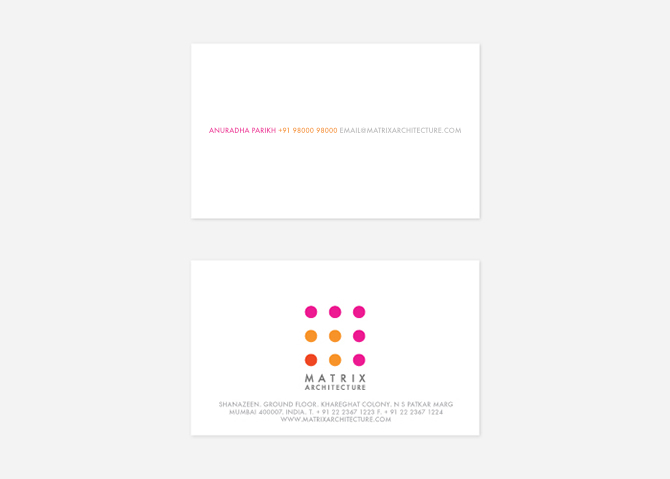 MATRIX ARCHITECTURE — INK INc. The architectural studio houses professionals across the disciplines of architecture, photography and engineering working for both commercial & residential clientele. The client were not completely satisfied with their business identity, but did not want to undertake a full-fledged rebranding process. We provided suggestions to strengthen the brand by balancing the various branding elements used in the logo and simplifying the type. We redesigned the logo to give it a cleaner, crisper, stronger, well balanced feel, typifying the work that the client did, even while retaining the main branding elements used in the old logo. 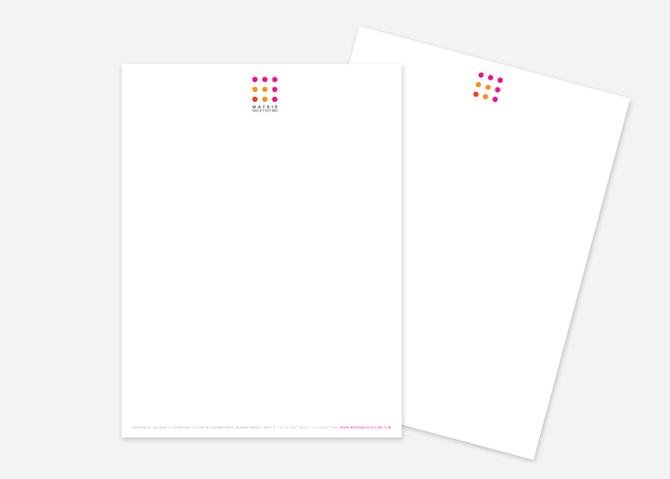 When the new logo was adapted to business collateral and the website, it took on a bold, striking tone, creating a unique identity for the brand in comparison with its competitors.